Okay, now that we know all the ingredients, let`s start baking. First, you mix very well the sugar with the egg, butter and honey. Make sure you mix well all the ingredients. Then you add slowly the other ones, one by one: the flour, milk and the baking powder. After you`re done mixing, put the composition in a tray, and put it in the oven for about 25-30 minutes. Making the frosting is very easy. You put all the ingredients in a pot and just simmer it on low heat. And it`s done. While you do the chocolate frosting, the cake from the oven should be ready. You take it out from the tray and cut it into little squares. And finally, you dip the squares into the frosting, and then into the coconut. The frosting has to be a little warm so the cake can absorb the fine cocoa taste. Enjoy making it, and I`ll be glad to answer your questions if you have any. Disaster...I know! But it`s very important to have a bowl of water by your side. As you dip the cake in the frosting and coconut, your hand will be full of frosting. And licking your hand isn`t very hygienic. So use some water to clean up the frosting from your hands. I know it`s a little bit messy, but trust me, it`s worth it! You can use a fork to dip the little squares, but it will take more time to finish. 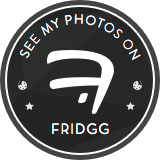 Don`t forget to share or pin if you like it! Thanks for stopping by! Great yummy recipe - and have a great weekend too! Oh yum! What a tasty treat and looks like great fun! Enjoy the week ahead and thank you for sharing your fun recipe with all of us. Thank you! Have a great week too! I think it would be wrong to lick the screen...right? Such a neat idea for using cake squares! You could almost do this with leftover cake, too! Thanks for a clever link for the letter C.
Thank you for the invite. I`m heading over right now! I love that you were honest about the mess! This looks beyond amazing! Cannot wait to try. THese cake squares look so good! I am a big fan of coconut, so these just got added to my "must-try" list. Pinned! We call these lamingtons in Australia. Thanks for sharing with us at #OvertheMoon. I'm sure they taste delicious. Trying to type while drooling. These looks too yummy. Maybe you could pop this post and others by my blog party and share the drool https://yadadarcyyada.com/2017/04/06/the-wonder-of-you/ Drop by as often as you want, leave as many links as you like. Hope this weekend treats you kindly. Your cake squares look delicious! Thank you for sharing at Ravenwould. Thank you Cassie. You can also use chopped nuts for coating, but coconut looks and tastes better. These look really good and so much easier than petit fours. Coconut and chocolate is a delicious combination. Pinning. These look fantastic. I can't resist anything chocolate and coconut. Featuring when my party opens tonight! The little cake squares look so good and fun, Cristina. I like coconut and I also like that the cake is white with chocolate on the outside. Thank you for sharing at Grandma's House link party. Shared and pinned. It sounds amazing, thank you so much for sharing the recipe at The Really Crafty Link Party this week. My daughter loves chocolate, so I'll try to make this for here. Pinned! THIS GIRL NEEDS A WHOLE CAKE TO HERSELF! No joke!!! I am drooling!!! this recipe looks amazing do you think i can make it gluten and dairy free? like do you think i could use coconut milk? and a gluten free flour mix? Of course! You can easily replace tho gluten free flour and use coconut milk. What a great idea for making cake a fancy treat. These would be a huge hit in my house. Ah, what cute little treats! I know they're bitesize, but I think I would end up eating them all in one sitting! I love anything with chocolate and coconut! YUM! Definitely need to try this. Oh my! This looks super yummy! I need to try it over the weekend. This is such a cake for my husband. He loves chocolate and coconut combinations. WOW! These look phenomenal. Great for a summer treat. Well As much as I want to make it, i cant. I am allergic to both chocolate and coconuts. *sobs in a corner* ..... It looks Yummy! I really love coconut and so this is right up my alley! I would definitely love to give these a try. These seriously look amazing! I love coconut, so I'm definitely going to try this out! They look delicious. Love that they are bite sized, perfect for portion control. Yum, I love my cake, so I need to make this for sure. Plus I've always been a fan of coconut. These are great for a party. They make eating cake so much easier. I always appreciate good cake. Chocolate and coconut are one of my favorite combinations and I’ll have to make this soon. 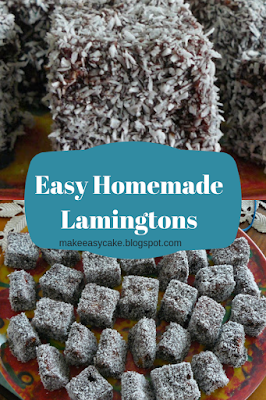 I didnt know this is how you make lamingtons, not that hard after all. I love to try making them. these look so yummy! Chocolate and coconut are two of my faves! Ooooh this cake sounds so delicious. I love coconut so much. This looks like a fun recipe to make. These look yummy. I am not a fan of coconut, but I could just leave it off. Chocolate is my favorite food group!!! I love anything in chocolate. So yummy! I can’t wait to give this recipe a try! I’ll have to try them! I wanna eat this out of the screen! Looks so yummy and moist. I'm such a fan of chocolate and coconut together. I bet these are delicious. hmm...so yum. Chocolate flavor is one of my favorites! Indeed this is a must try recipe! Thank you so much for sharing this, and we all know when things get messy it always turns out great. Great Post! These came out looking so good! 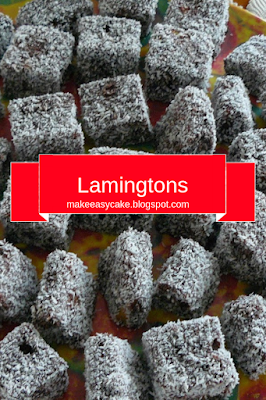 I love wrapping energy balls I make in coconut shreds - adds a nice sweetness to them. Oh wow two of my favorite things! These cakes look so so good...I definitely need to make some for my family. Each and every comment is a true delight for me, so please don`t be shy.